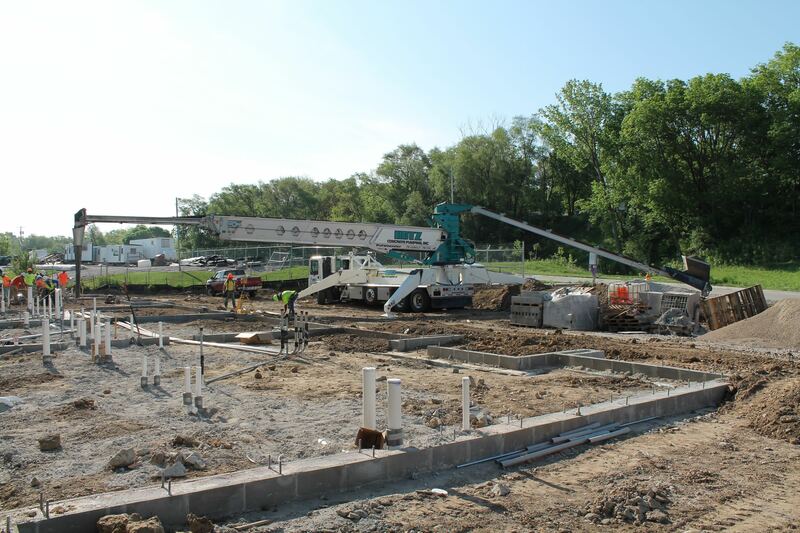 Hotz Concrete Pumping specializes in the placement of concrete, rock, sand and other materials with our diverse fleet of concrete pumps and telebelts. There is no project too big, too small, or too complex. Our origins go back to 1967, when modern concrete pumping was in its infancy. Beginning with the first concrete pumping business in Nebraska, we have evolved continuously to become Nebraska’s largest. As pioneers in the concrete pumping industry, we’ve developed innovative techniques and solutions for some of the largest, most complex projects in our region using the latest equipment technology. We have been pumping concrete since the industry began and have developed techniques that have become industry standard. We work with contractors, engineers, and ready mix producers and have developed methods that produce consistent results. Our fleet of Putzmeister concrete pumps is comprehensive. From our smallest truck mounted line pump, to our largest (a 63Z Meter), we have a unit that fits your needs. Based in Omaha, Nebraska for 50 years and servicing the surrounding regions in Nebraska and Iowa, we have intimate knowledge of our area’s weather, workforce, and concrete mix designs. 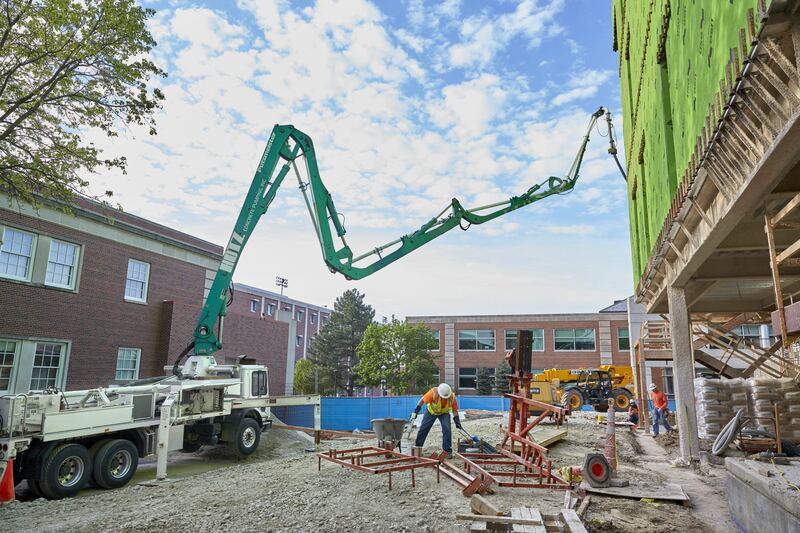 HCP offers concrete pumping, grouting, high rise placement, mass concrete placement, belting of concrete and aggregates and offers excellent project planning. Safety is the first priority of our staff. HCP follows all safety protocols of OSHA, ASME, and the ACPA (American Concrete Pumping Association). We contributed to the original safety manuals still relied upon today. With over 203 feet of vertical reach, this versatile five section z boom is the largest between Chicago and Denver. 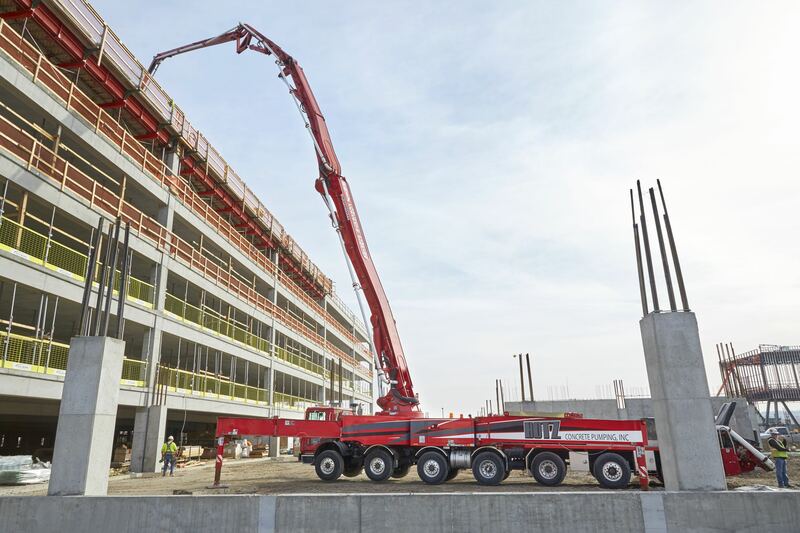 This unique five section boom has a low 18 foot 8 inch unfolding height that allows it to handle unusual site configurations as easily as a standard pour. Our telebelt is a versatile material placer. On top of being able to place any concrete mix design. It can also handle everything from 4” rock to the smallest aggregates and even landscaping materials.